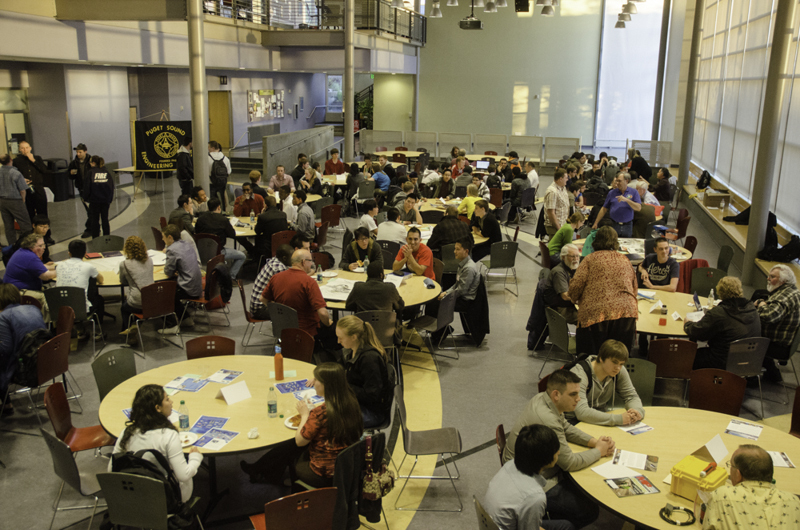 The Puget Sound Engineering Council (PSEC) is seeking additional Mentor Coordinators for our annual Mentor Nights program either as a back-up or as a future coordinator for an event that you would like to support. We have six Mentor Night Coordinators for the eight different mentor events PSEC currently supports locally at multiple Universities and Colleges. The primary role of a Mentor Coordinator is to be a point contact for volunteers from the multiple local engineering societies and local industry. This role is not limited to member societies current officers or to a representative to PSEC but anyone who has enjoyed volunteering at the multi-society Mentor Nights. This is an opportunity for one (or more) events in the year – primarily conducted by email. We are especially looking for individuals who have attended a Mentor Night event at the same school more than once. We have well documented guidelines, tools, and support for you to help with these instructional and successful events. For more information about Mentor Nights go to our website at http://www.pseconline.org/mentor-nights/. This is an opportunity to continue to help support our local Universities and Colleges by supporting these outreach events. Please contact me if you are interested and would like to learn more.